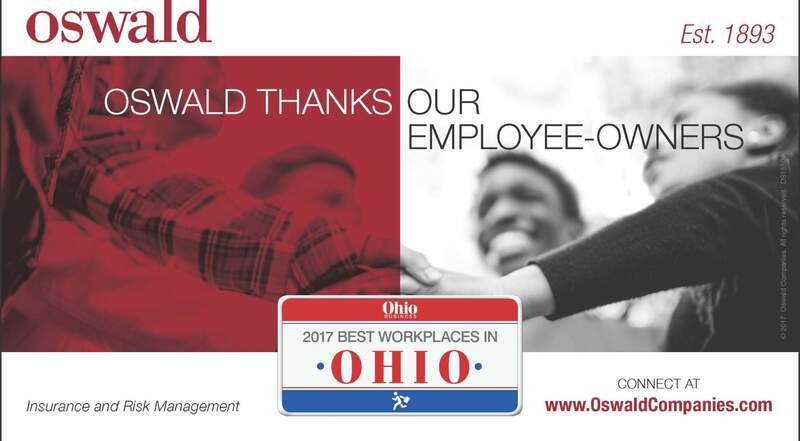 Oswald Companies has been named to the second annual Best Workplaces in Ohio list, announced in September 2017 by Ohio Business Magazine. Nominations for the top 75 chosen honorees were collected, reviewed and approved by a Best Workplaces committee, which evaluated companies based on a variety of factors including culture, benefits, career development, community engagement and more. In addition to Oswald’s Cleveland headquarters, the firm has prominent office locations in Akron, Cincinnati, Columbus, Medina, Toledo, as well as its largest regional office that serves the Greater Detroit market. Check out the fall issue of Ohio Business Magazine for features on the honorees. Learn more about careers and culture at Oswald at OswaldCompanies.com/careers.